Everyone have some old or out of style gold jewelry tuck away in some drawer that you probably wear once in a blue moon or not at all. Now is a good time to turn that gold into cash since the global economic turmoil has push the price of gold to record levels. But before you do that here is a quick explanation of how those buyers determine the price of that pile of jewelry before he hands over the cash. 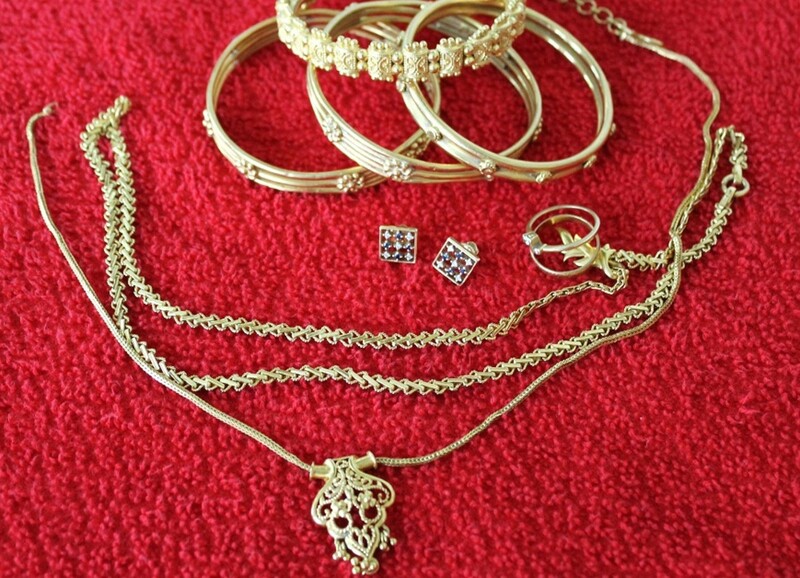 Before you set off to sell your gold jewelry here are few things you need to know. First, the price of gold is based on the unit of weight called a troy ounce (We all know that I hope). A troy ounce is a small amount of weight since we all know it takes 12 troy ounces to make one pound. But the buyer does not always measure the weight of your jewelry in troy ounces. Sometimes he measures it in a unit from the metric system called grams. This unit is strange to a lot of Americans since we are one of the few countries in the world still using the English system of measurements. If you are a technical person or someone who works in a scientific or mathematical profession you should not have any problem with the metric system. Anyway, a gram is even smaller than a troy ounce because it takes 31.1034768 or basically 31 grams to make one troy ounce. If your balance is displaying the weight in grams just multiply that number by 0.03215 to change it to troy ounces and if the balance is displaying your weight in ounces just multiply that number by 0.9116 to change the weight to troy ounces. You probably hope the buyer uses all the decimal places to the right of the period to get the maximum value for your jewelry laying on his balance. Finally, make sure you take your jewelry to a reputable buyer. Get references from someone who probably been to the shop you wish to go to or if they can suggest one for you. Stay away from those fly by night places because I am sure a pretty few of them are popping up now since gold prices are at a record high right now just rip people off. Now let’s move on to the fun part, the calculation. Get out your slide ruler, calculator, or abacus. Believe or not there are some countries that still use the abacus to do their calculations. Let me start with the simplest calculation. If you are one of the fortunate few who have 24 karat gold in your drawers, chest or whatever, this one is easy. If you happen to have a balance capable of measuring the weight of your jewelry in troy ounces just place your pile of jewelry on the balance and write the displayed number on a pad. Next, just multiply that number by the price of gold per troy ounce. Note “per” is another way of saying “for each” Here is example calculation. This is all elementary school math. Let’s said you have 4.54 troy ounces of gold on the balance and the price of gold per ounce is $1,635. For the sake of simplicity let 's use "ounces" for "troy ounces" from this point forward in this article. Note: The calculated amounts below are how much your gold is worth before the dealer takes his share out of the calculated amount. The dealer's share can vary from shop to shop. Now, if you had the exact same weight of jewelry but this time the jewelry is 18K, obviously you are going to get less than what you received for the 24K jewelry simply because there is less gold in the jewelry than in the 24K gold jewelry. Let’s do the math again. But before we can calculate the value the 18K must be changed to a ratio because 18K of course is not pure gold. It is 18 parts gold and 6 parts another metal combined such as silver, copper, or even zinc. For comparison 24K is 24 parts gold, no other metal is combined with it. Now let’s calculated the ratio of gold in the 18K jewelry. 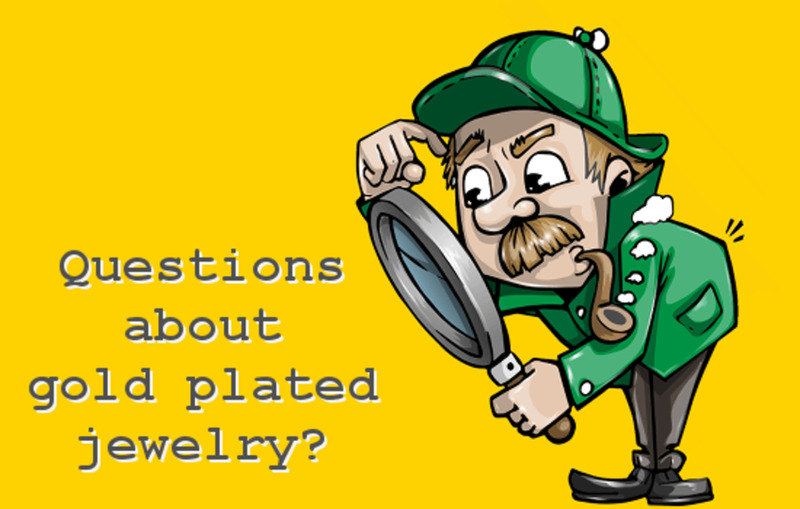 Note: The buyer do not want plated gold jewelry or jewelry with stones embedded in them because he cannot determine an accurate weight of gold in the jewelry with all the other parts to get the real value of the gold. 18 parts divided by 24 parts = 0.75. Another way of look at it is that 18K gold is 75% gold and 25% some other metal, while 24K gold is 100% gold since it pure gold. The next step is to calculate how much the 18K gold is worth based on that ratio. This is how it is done assuming the same weight of jewelry. Your 4.54 ounces of 18K gold is worth $5,567.18. That is a nice piece of change! For the other common karats of gold, 14K and 10K, the same calculate for ratio can be applied. However, the ratios will be different since the amount of gold in the jewelry is different. Let’s calculate the ratio for the 14K and 10K jewelries as illustrated in Step 1. To determine how much 4.54 ounces of 14K gold and 10k gold would be worth for the weight. Let’s do the math by using the calculations from Step 2, since you already know 4.54 ounces of 24K gold is worth $7,422.90 if the price per ounce of gold is $1,635. See it is really quite simple to determine how much money you should get for your pile of jewelry. Just pull out your trusted calculator and if you happen to have balance capable of weighing troy ounces do the math before you head to the gold dealer. You will have a pretty good idea of how much cash you should receive for your departed jewelry. 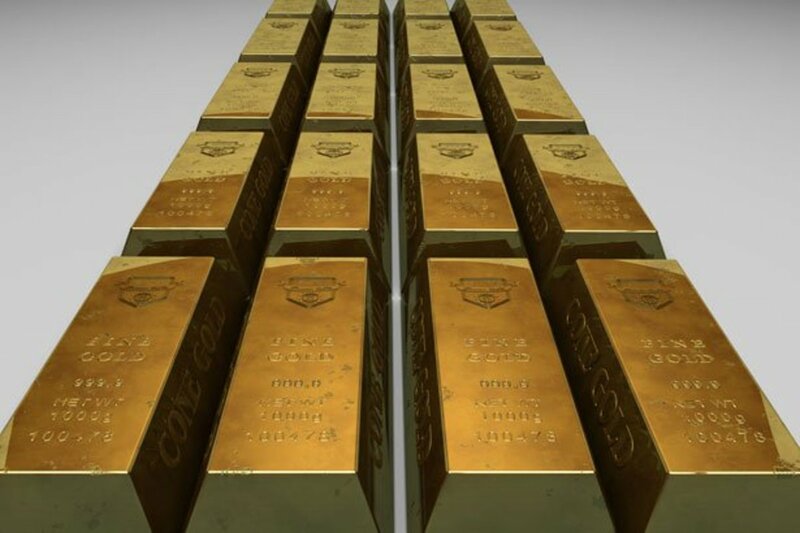 Just remember, first determine how much 24K is worth for that weight you see displayed on your balance and multiply that by the price of gold per ounce. Next multiply that number by the ratio for your 10K, 14K, or 18K jewelry. Also don’t forget to separate your jewelry according to the karats before weighing them. Good Luck! Many dealers will use pennyweight when buying and selling gold in stead of grams. A pennyweight weights more than a gram (1.555 gram = 1 pw). It takes 20 pennyweight to make a troy ounce. Make sure you understand which weight system the dealer is using when it comes time to sell. Basir, the price of 51g of 18Kt gold is $1,456 based on the price of 1 ounce of gold at the current value of $1,180 per ounce. Bear in mind about 31 grams is equivalent to 1 troy ounce. Kay, you have to weigh the jewelry to determine its weight. 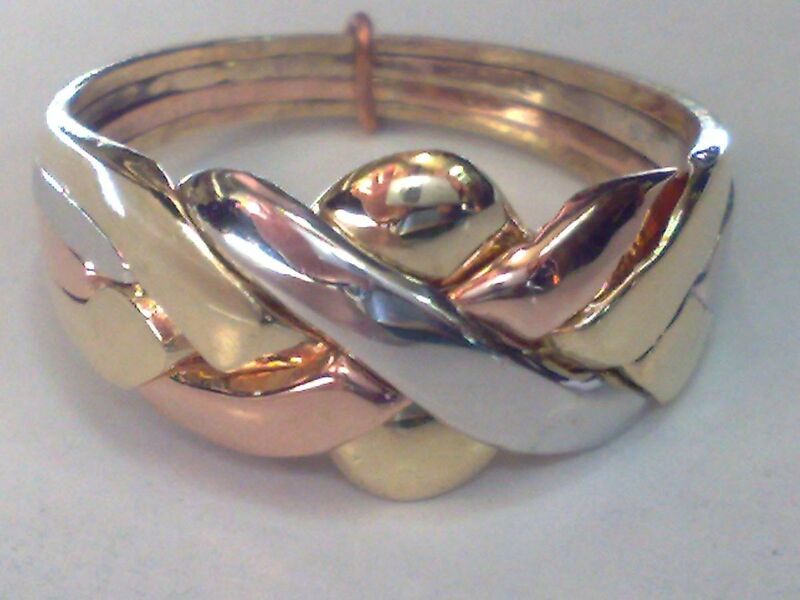 18Kt gold is 24 parts pure gold and 6 parts of another metal such as silver, copper, or zinc. In other words 18Kt gold jewelry is 75% gold. For example if your 18Kt jewelry weigh 100 grams then 75 grams of that weight is gold and the other 25 grams is either silver, copper, or zinc. how many grams is 18kgold? "A troy ounce is a small amount of weight since we all know it takes 12 troy ounces to make one pound"
Glass-Jewelry, thanks for your comment and for the additional information on how some jewelers price their gold, especially in the European market. 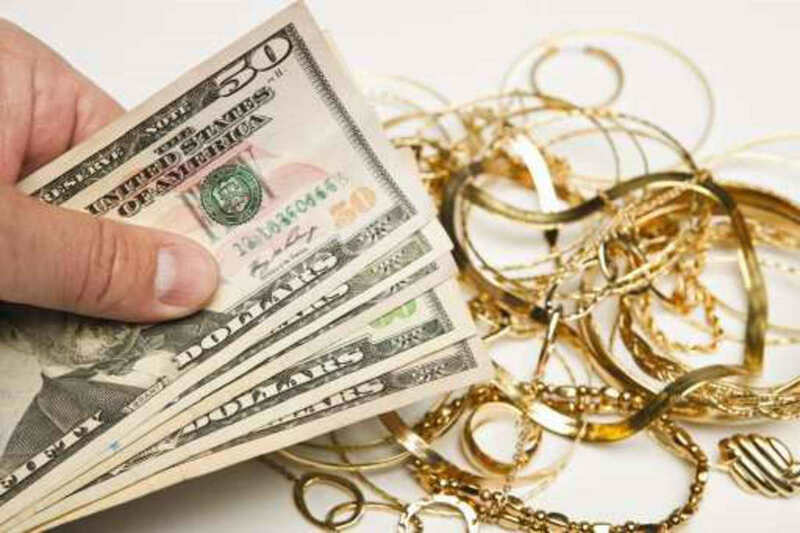 With regard to the old gold, scrap gold that is, it is very unlikely to be able to get its market value when you try to sell it to some vendor of jewelry. The current price of gold is about 40 euro per gram, and an individual may be able to obtain on average 22 euro per gram, a maximum of 28 euro. 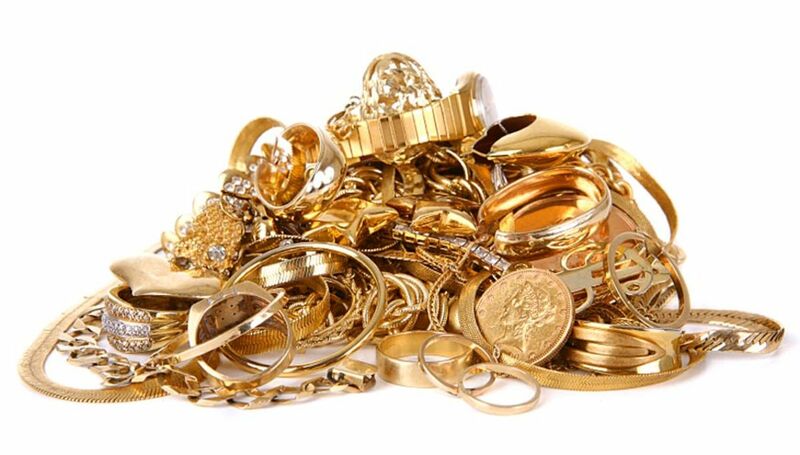 A private person can expect to sell your scrap gold only to a jewelry store who collects scrap gold, but absolutely would never be able to sell it to a dealer in gold bullion, or a metal bench, because they accept only gold in large quantities, an average of over 1 KG. Dallastexas21, thanks for your comment and for stopping by to read my hub. It doesn't matter what color gold that you are selling, the price of the gold is still the same as regular yellow gold. The calculations are all based on weight of the jewelry and the percentage gold present, e.g. 14k, 18k, etc. Macoy23 thanks for your comment. Your calculation only works if you are calculating the value of pure gold (24 Karat). It does not work for other purity of gold such as 18K, 14K, 10K, etc. You must calculate the percentage of gold first to get the correct dollar amount. 72 grams X 1 troy ounce/31.103 grams = 2,315 troy ounce. Your jewelry weighs 2.315 ounces. $3, 849.73 X 0.75 = $2,887 . Your jewelry is worth $2,887. 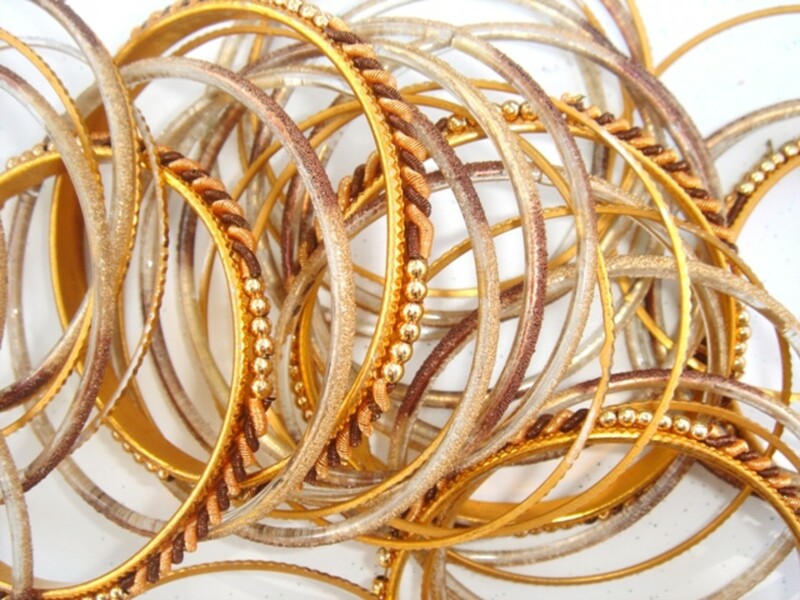 How much is 18k gold plated bracelets weighing 72grams worth? SF Jewelry Buyers, thanks for your comment and for stopping by to read my hub. Great step-by-step guide to get an idea of the worth of your jewelry. Thanks! I DON'T LIKE GOLD, BUT AFTER READING YOUR HUB I AM INTERESTED IN IT. Peter, thanks I will make the corrections.